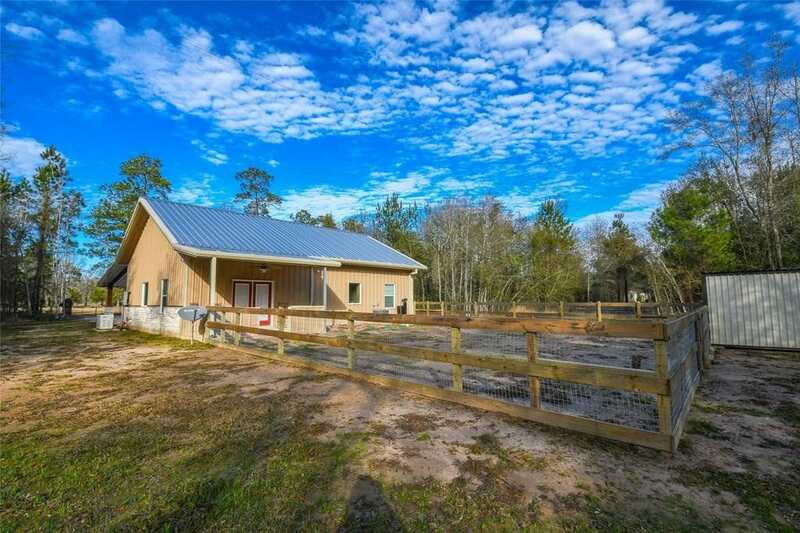 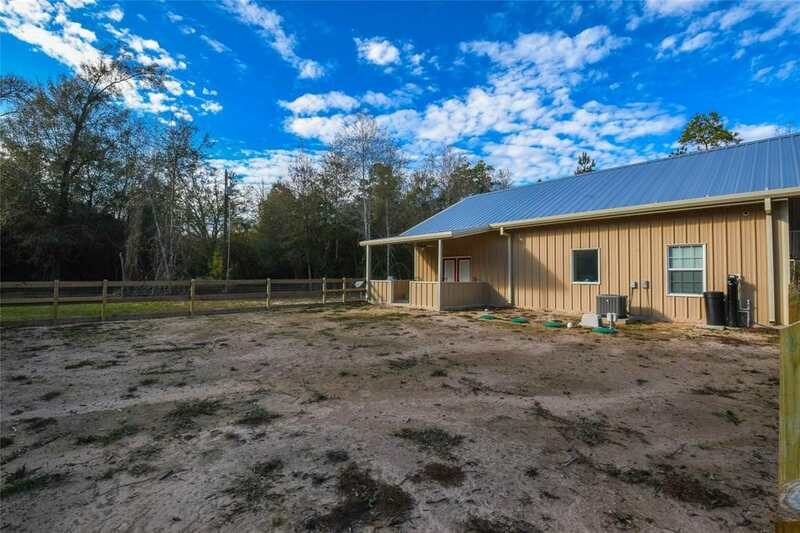 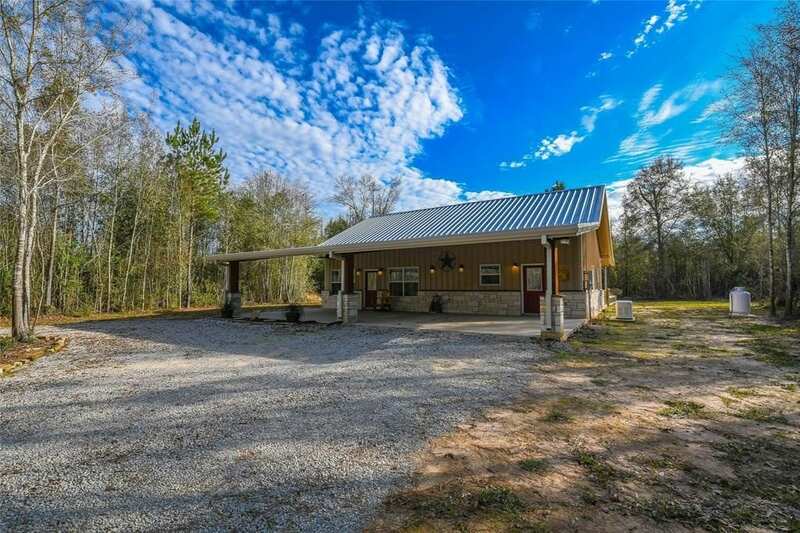 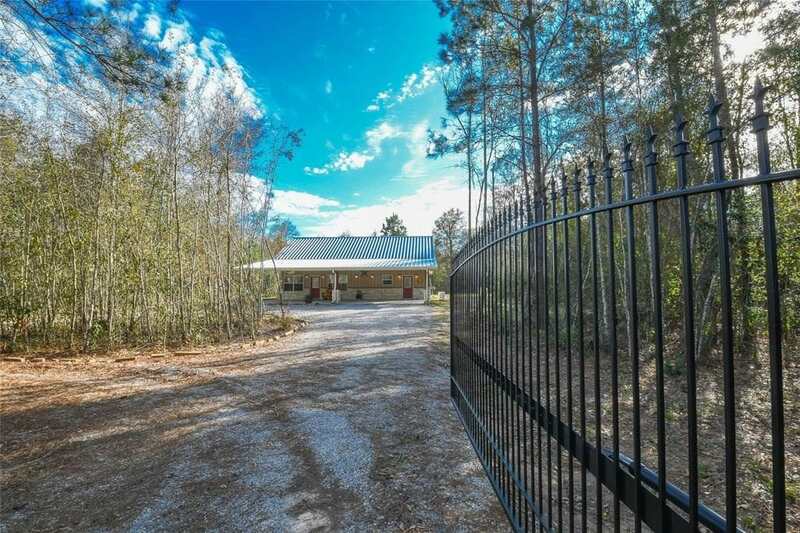 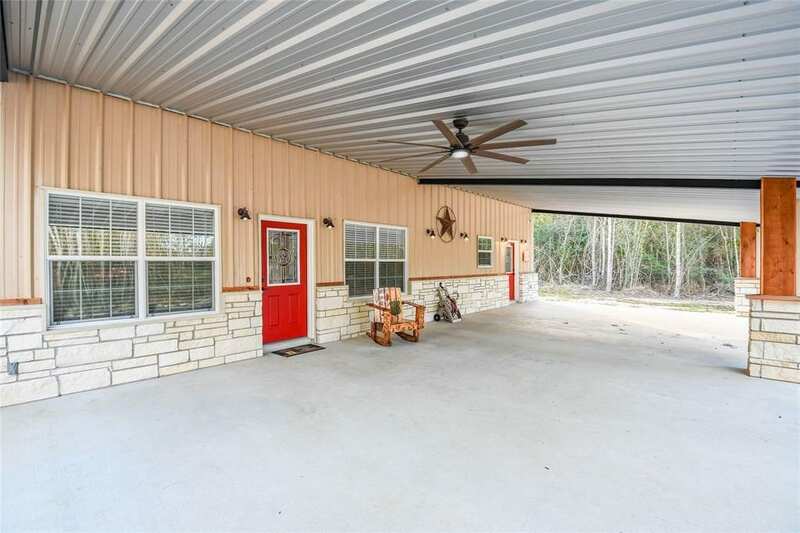 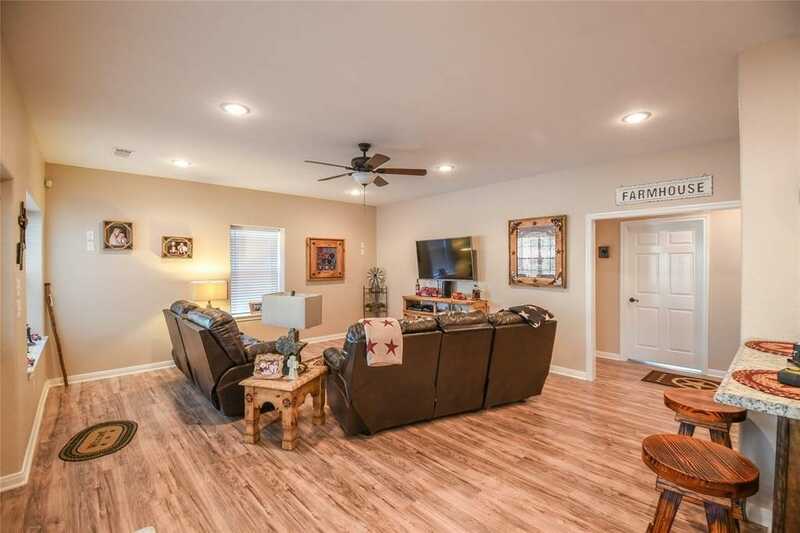 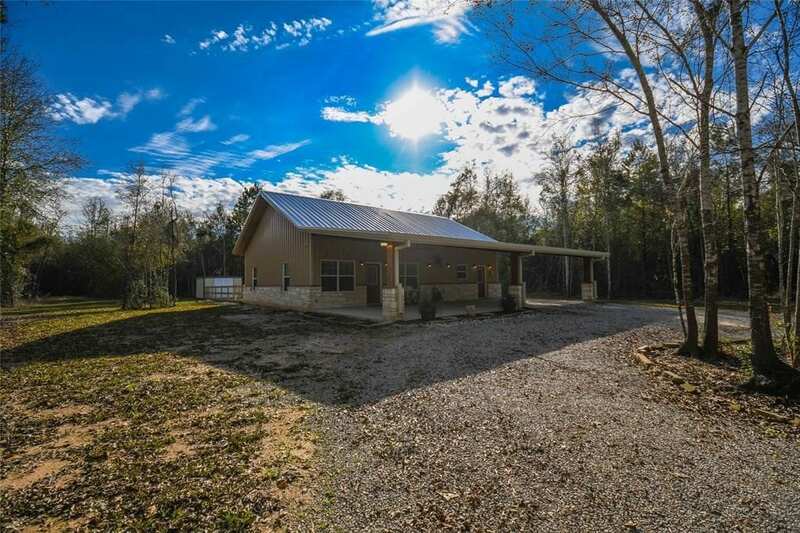 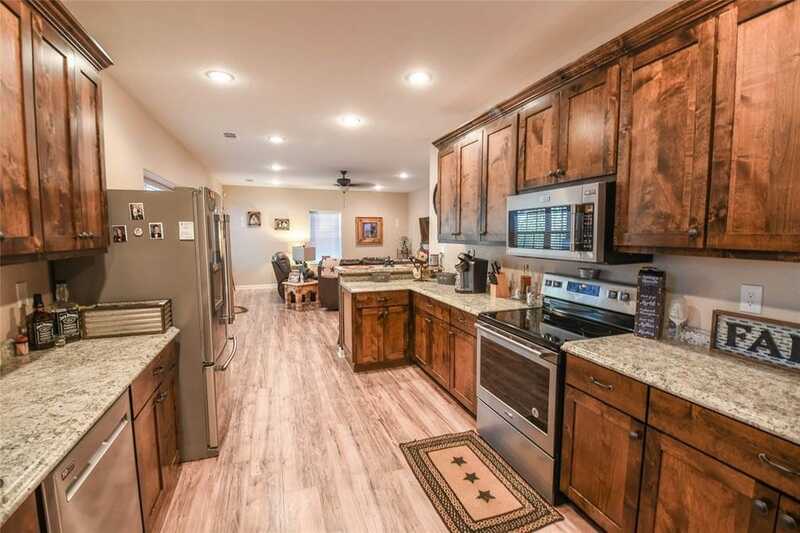 1-acre tract that includes this rustic barn home with 1,575 square feet with 2 beds and 2 baths. 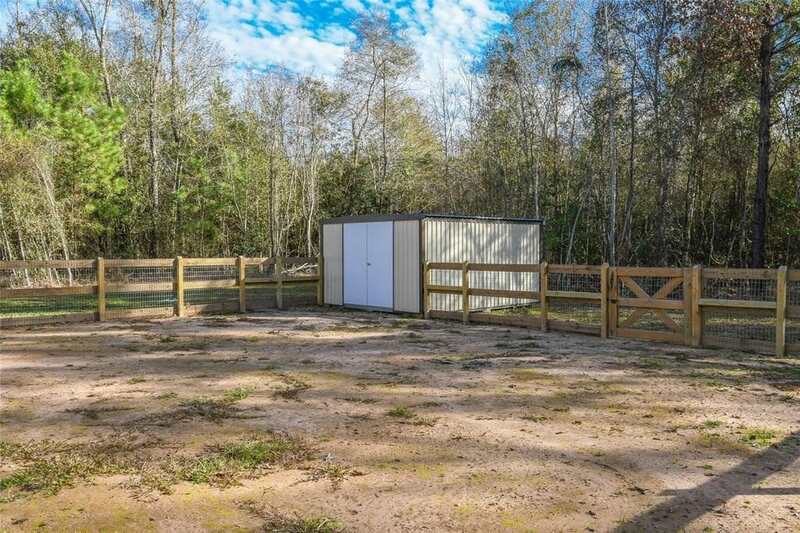 Also comes with a separate 12×16 metal storage shed and this lot is wooded and secluded. 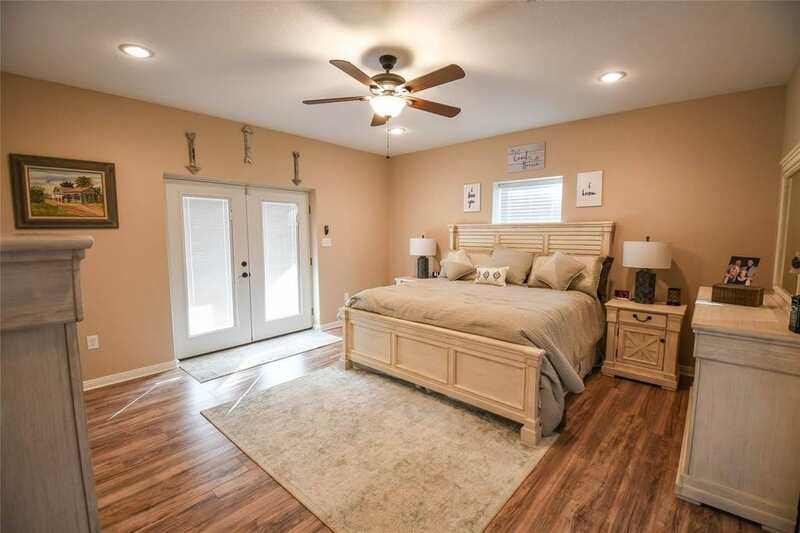 Was built in 2018 and includes a safe room inside the master closet. 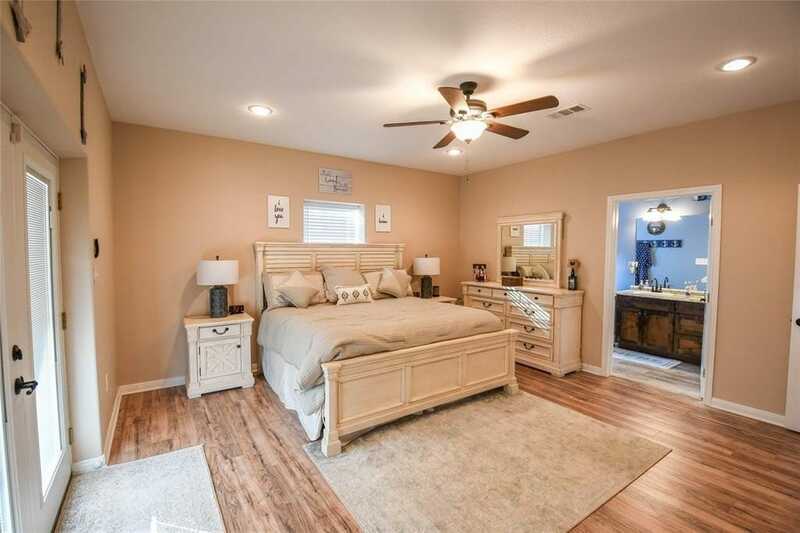 Images courtesy of © Zillow.com/a>.